Public corruption involves a breach of public trust and/or abuse of position by federal, state, or local officials and their private sector accomplices. By broad definition, a government official, whether elected, appointed or hired, violates federal law when he/she asks, demands, solicits, accepts, or agrees to receive anything of value in return for being influenced in the performance of their official duties. One of the most high-profile forms of public corruption is bribery of a public official. Title 18 of the U.S. Code, Section 201 provides the statutory framework for bribery prosecutions. Federal legislators are continuing to work on legislation that increases penalties for public corruption and that attempts to close loopholes created by previous legislation. Ethics violations occur at all levels of government (local, state, and federal) and includes allegations of judicial, legislative, regulatory, contract, and law enforcement corruption. Law enforcement corruption accounts for more than one-third of the current corruption investigations. These cases typically involve law enforcement officers accepting money to protect (or facilitate) drug-trafficking and organized criminal activity. Breaches of the public trust can impact everything, from how well our borders are secured and our neighborhoods protected, to verdicts handed down in courts of law, to the quality of our roads and schools. Public corruption is one of the FBI’s top investigative priorities—behind only terrorism, espionage, and cyber crimes. Federal cases of public corruption are prosecuted by the Department of Justice. Individual states also prosecute cases of public corruption, including charges of bribery, receiving unlawful gratuities, and misuse of confidential information. 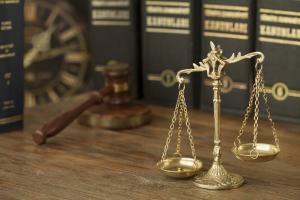 Private criminal defense lawyers often specialize in either state or federal cases. State court penalties for public corruption range from six months in prison and a $1,000 for misdemeanor misuse of confidential information to a prison term of 8 years and up to a $250,000 fine for felony bribery. A federal offense can likewise garner serious penalties, which may include thousands of dollars and/or time in federal prison. If you are under investigation for public corruption or face charges for violation of state or federal laws, you will need an experienced criminal defense attorney on your side. If you cannot afford your own lawyer, the government (federal, state, or local) must provide one for you, called a “public defender.” If you can afford your own attorney, you might consider hiring a private criminal defense lawyer. A private criminal defense attorney will bring not only a wealth of expertise regarding the criminal justice system to your case, he or she may also bring the objectivity and robust representation of an advocate who is not entrenched in public service.